SPDIF is a standard used to transmit digital audio. The purpose of this small connector is very simple: it is used to allow digital audio to be routed to the HDMI output. 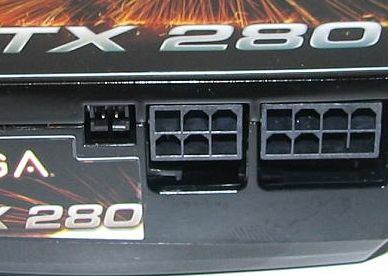 All video cards have one or two DVI connectors, and any DVI connector can be converted into an HDMI connector by the use of a simple adaptor. The problem is that the DVI connector does not transmit audio signals, only video, while HDMI can transmit both audio and video. Read the full article here: How to Use The SPDIF Connector Available on GeForce Video Cards.